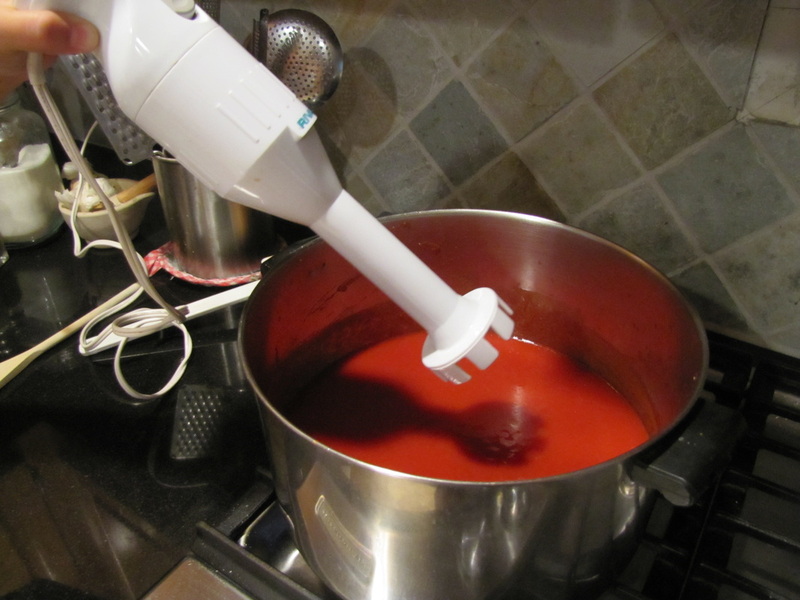 Combine tomatoes and juice in a stock pot, blend with an immersion blender. Add butter and cream. Simmer over low heat for 30 minutes stirring occasionally. 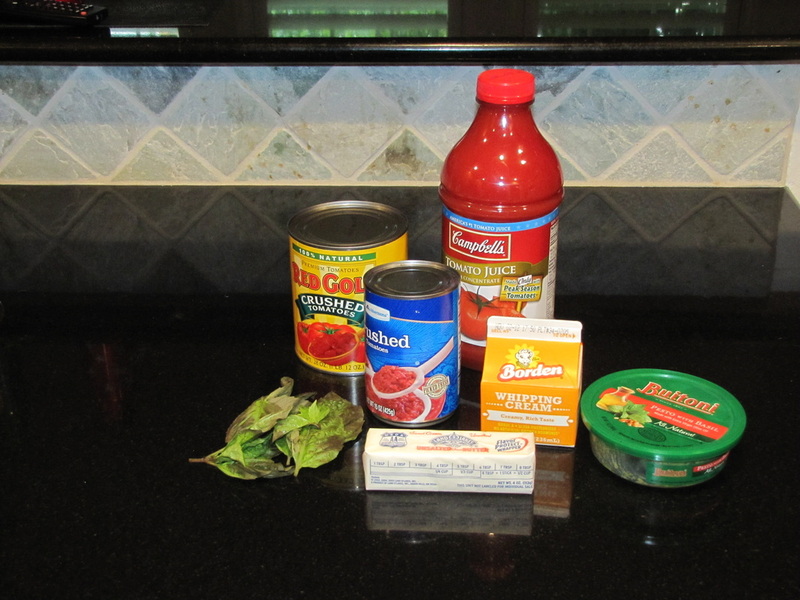 Add basil leaves. Serve in bowls with a dollap of basil pesto. 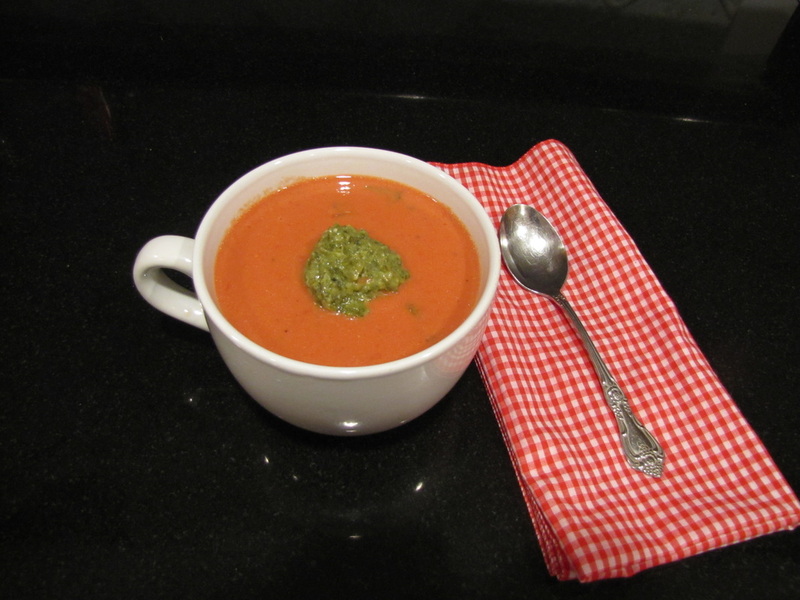 You can eliminate the basil leaves, just incorporate the basil pesto into the soup. Makes 8 servings. 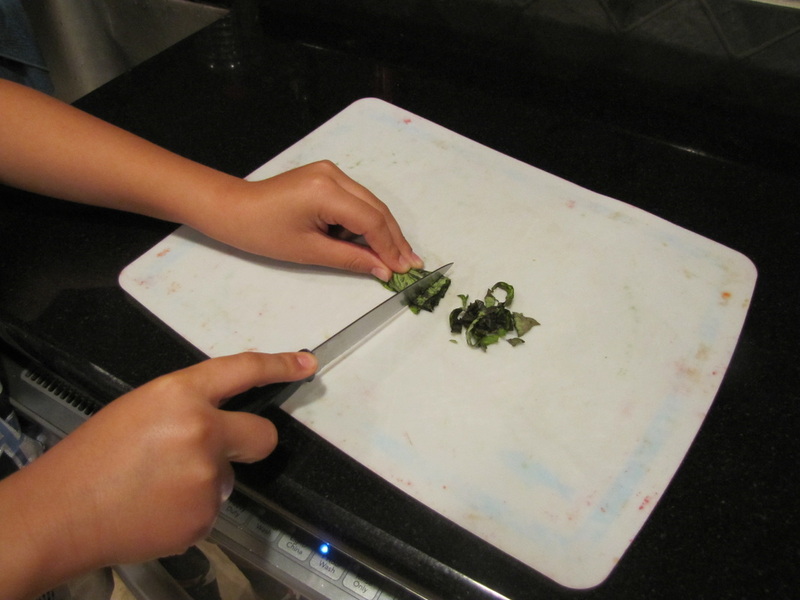 Cutting the basil for the soup. Using an immersion blender to process the soup.